David Williams serves as general superintendent of Evangelical Friends Church-Mid America Yearly Meeting. He also serves as adjunct professor at Barclay College in Haviland, Kansas, and guest lecturer at Friends University in Wichita, Kansas. Having served as a youth pastor, family pastor, lead pastor, and campus pastor, Dave brings over 35 years of firsthand field experience to his current role as a pastor to pastors. A graduate of Malone University (BA) and Ashland Theological Seminary (MA), Dave completed his doctorate (DMin) in leadership and spiritual formation at George Fox University. 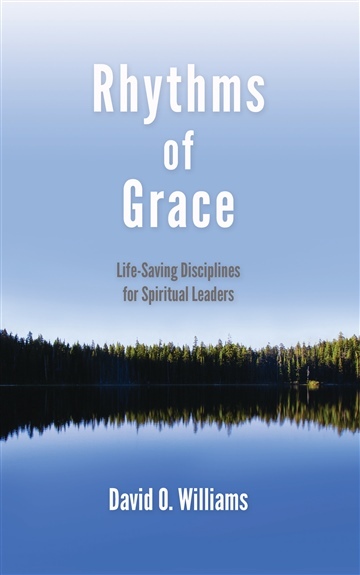 His doctoral dissertation, “Sustaining Spiritual Leadership for the Long Haul: The Center for Spiritual Renewal at Barclay College,” received the seminary's Distinguished Dissertation Award for 2009, and provided the inspiration for his first book, Rhythms of Grace: Life-Saving Disciplines for Spiritual Leaders. Dave and his wife, Carol, have been partners in full-time Christian service throughout their 35 years of marriage. They have been blessed with six beautiful children (Josiah, Sarah, Jeremiah, Hannah, Jessie and Jasmine) and eight wonderful grandchildren (Isaiah, Noah, Isabel, Abigail, Lincoln, Lydia, Cora and Levi).